September is my most favorite month of the year because it happens to be my BIRTHDAY MONTH! Back in the day, I used to celebrate the week of my birthday until my dear friend, Mary Ann, told me that a week wasn’t enough time to celebrate. Together, we have been celebrating this fine birthday month tradition for over ten years. Not only is September my birthday month, but it also marks the arrival of many things fall. 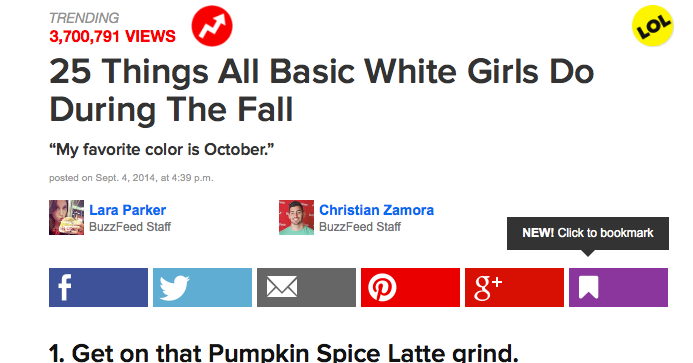 My favorite fall traditions are pretty much summed up by this 25 Things All Basic White Girls Do During the Fall. I think this list is hysterical, especially since it encompasses many of my girlfriends as well. Do you relate to this list? The other thing that I love about Fall is that it opens up a whole new season for racing. I had big plans to race the California International Marathon and had dates circled on my calendar to sign up for the Boston Marathon. Now, I have dates penned on the calendar for things like, “Dr. Appt – get new cast” and “return scooter.” If you recall from my SeaWheeze Half Marathon recap, I showed off my sprained ankle. Turns out, that sprained ankle was really a broken fibula requiring 7 screws and one plate to correct. I’ve been pretty quiet on social media about this incident. My biggest reason was that I needed time to process this whole incident myself. What’s a girl to do? 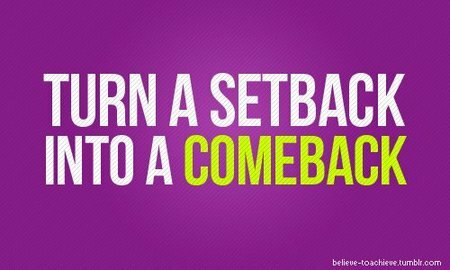 The good news is that I’m not completely broken so I can start to work on some of those goals I’ve had tucked in the back of my brain. For a while, I’ve thought about building more muscle like you would see in the bikini fitness models. Does this mean I’m entering a contest… who knows, but what fun to see how I can get my body to change by trying out some new weight lifting workouts. I also hope to get on my bicycle. Really, I have the best cycling coach around sharing my bed each night so I should tune into what he has to say. Look… I even have the bike ready to go! This will also mark a time to study up on my barre training. What better way to strengthen and fine tune those small, yet powerful, stabilizing muscles? New to barre… check out The Barre Studio, which is opening late September. I’m not only excited to teach at this beautiful studio, but I’m really looking forward to participating in the shake and burn with a whole new set of friends. I’m not going to deny that I will struggle putting my laps on hold, but I look forward to doing more lunges (well… lifting anyway) and since I’m not going to be able to wear jeans for a bit… my leather shorts will find themselves in the fashion rotation a lot, lot more. Now that I’m not burning a ton of calories through fitness activities, I’m going to have to really look at the cleanliness of my diet. Fortunately, with fall fruits and vegetables in abundance, I shouldn’t have much trouble at all. 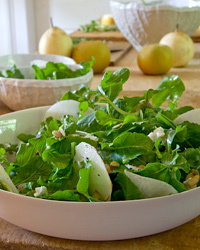 To start, I’ve been loving this Asian Pear and Arugula Salad. It’s easy and fast to prepare. For a source of protein, I’ve added some smoked salmon to my salad. And while sweets are not going to happen much in my diet, I do love this cupcake and enjoy making it during the fall (which ties in nicely to the “all things pumpkin” as mentioned in the 25 things above). Seriously…. what’s not to love when the words brown butter, pumpkin and salted caramel are in the title???? Also, don’t let the salted caramel sauce scare you away. Making homemade caramel sauce is actually pretty darn easy. 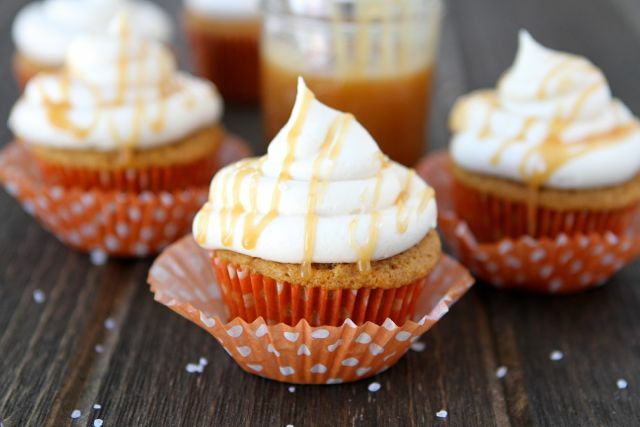 Seriously… don’t wait, make these Brown Butter Pumpkin Cupcakes with Salted Caramel Frosting soon. Your friends will think you are a super talented baker extraordinaire! Is it wrong to want to eat the screen? Photo courtesy of google search. As always, hoping your Saturday is full of joy and the chance to do something extraordinary! Enjoy!